What if that photo on your mantle could help power your kettle? The concept of printable solar cells have been around for a while with Australian researchers being among the first in the world to take the notion from concept to reality. Now, researchers in Finland have developed a unique method to turn any image or text into a solar-power-generating device. A research team at Aalto University in Greater Helsinki, Finland, decided to play with taking the technology on another course and, while it might sound impossible, using a simple jet ink printer and specially developed photovoltaic ink, they are now able to transform images into solar cells. These solar cells are then used to create custom photographs that can be framed and left to generate clean energy. When absorbed into ordinary ink, light generates heat. However, when absorbed in photovoltaic ink it converts part of that energy to electricity. By combining the idea of solar cells as images – or that are colourful and patterned – with sufficiently low-power electrical devices, they could form part of its visual design while producing the energy that it needs. Published in the prestigious Energy and Environmental Science review, the team’s research explains how “the darker the ink, the more it is able to produce electricity.” For this reason darker photos or black-and-white images are able to produce a far more significant quantity of energy than color photos. The most efficient solar cell would therefore be pitch black. As of yet, the process doesn’t enable energy production on a particularly large scale, and the printed cells are still a long way away from possessing the ability to produce the type of power generated by traditional solar panels. 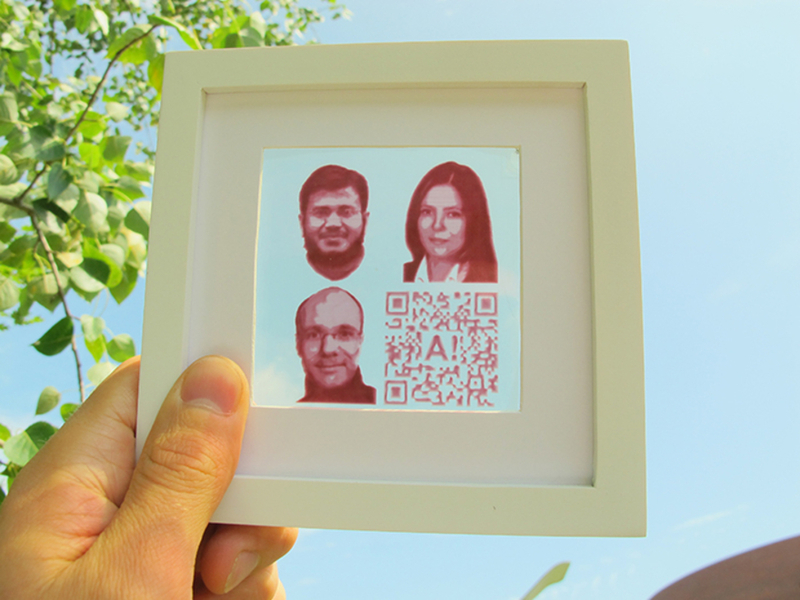 Still, the printed images may be able to power smaller objects that require minimal energy consumption and the technologies incorporation of traditional printers makes it far more likely to eventually become accessible to the masses.